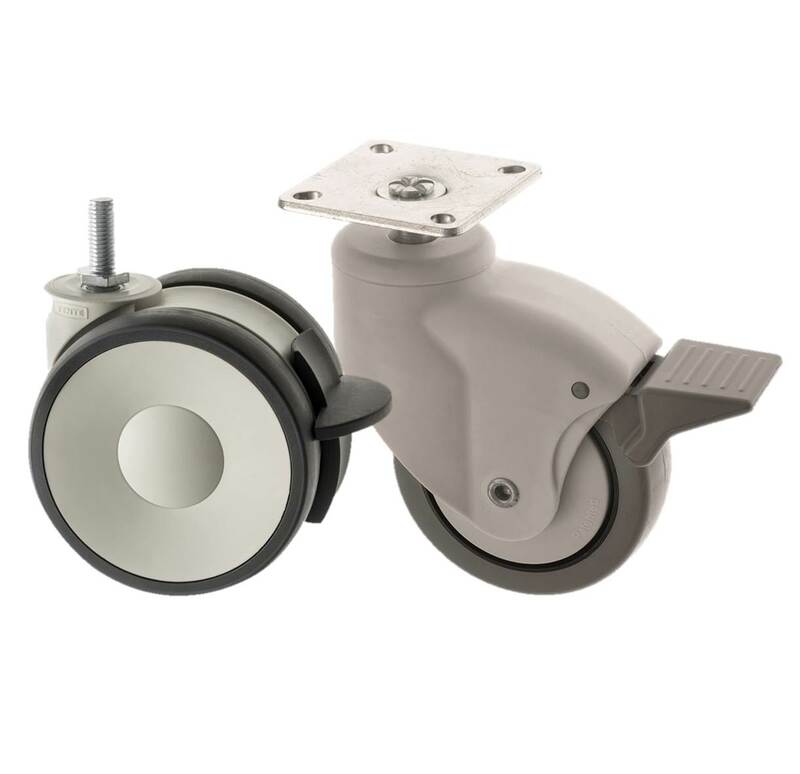 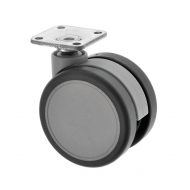 Designer Castors are a range of twin wheel modern and stylish castors that can be supplied with grey rubber non marking wheels and a variety of attachments, either stem or plate fittings. 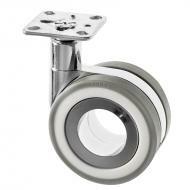 This contemporary range can be attached to modern furniture, chairs and equipment. 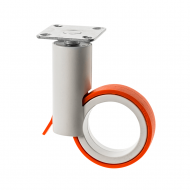 We have teamed this range up with our Medical Castors, as they too offer a range of twin rubber wheels or slim line modern castors as alternatives. 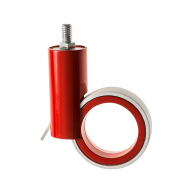 These designer modern castors and medical synthetic castors can come with or without foot brakes and in a variety of sizes to suit your application. 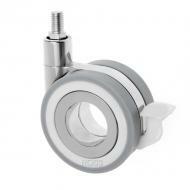 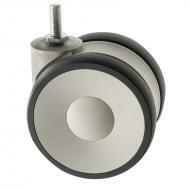 For cool modern contemporary yet practical feel, these castors will be the right choice. 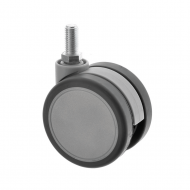 The stunning combination of form and function makes these designer and medical castors ideal for hospital trolleys, hospital beds, catering equipment and furniture. 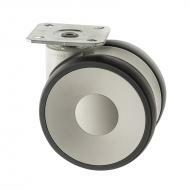 Synthetic castor frames add an elegant feel, as well as being practical, durable and easy to clean!